Barbados offers its visitors far more than the usual sunny island weather, sparkling waters and white sand beaches. 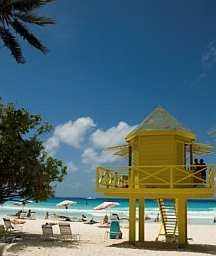 Barbados is one of the most popular destinations in the Caribbean. It is a Caribbean Island nation steeped in a unique tradition that has a focus on a better quality of life and a sense of calm. Tourists along with Caribbean real estate investors flock to the island to cruise the gentle blue waters and to enjoy beautiful sunsets. The high standard of living, the local dedication towards hospitality and the island’s affinity for the finer things attracts its visitors from around the world. Barbados has pure drinking water and was in fact, the first Caribbean Island to utilize piped water. It has excellent telecommunication services and a number of utilities. Transport on the island is good and fixed route taxis link most destinations. Buses are also abundant with three bus systems running seven days a week. Historically, the economy of the Caribbean Island of Barbados has always depended on sugarcane cultivation and other related activities. Production has however been diversified in recent times to manufacturing and tourism. Other services such as offshore finance and information technology have become important foreign investment attractors. For ten years, the Government has been business-friendly and economically sound, welcoming foreign investment. Since the late 1990’s, there has been an increase in the construction sector, with a boom in new Barbados real estate development, renovations of hotels, office complexes and residences. It is likely that Caribbean real estate construction will pick up even further in Barbados, with the building boom on the island entering the initial stage for many new multi-million dollar projects. The government has continued its efforts to reduce unemployment and encourage direct foreign investment. Business links and investment flow have become quite substantial. The United Nations Development Index has ranked Barbados third among 160 developing countries worldwide, in terms of quality of life, with only Hong Kong and Cyprus preceding it. The Caribbean island of Barbados has a distinctive structure of services and facilities. It possesses a vibrant economy, a stable political system and good infrastructure. With a year-round warm climate, social stability and its extremely friendly people, Barbados has become a popular place to buy Caribbean real estate for retirement or vacation homes. Its depth and breadth of beautiful coral stone houses, full service offices, luxury villas, modern hotels, resorts and its modest homes as well provide a sufficient spectrum of choices to attract any Caribbean real estate investor. 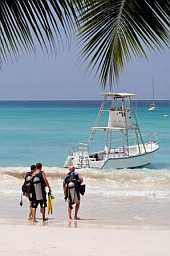 The Caribbean Island of Barbados offers a unique mix of sea, sun and beach activities. You can choose to spend lazy days under a coconut tree or enjoy activities like tennis, polo, golf, scuba diving, water-skiing, catamaran sailing and deep-sea fishing. 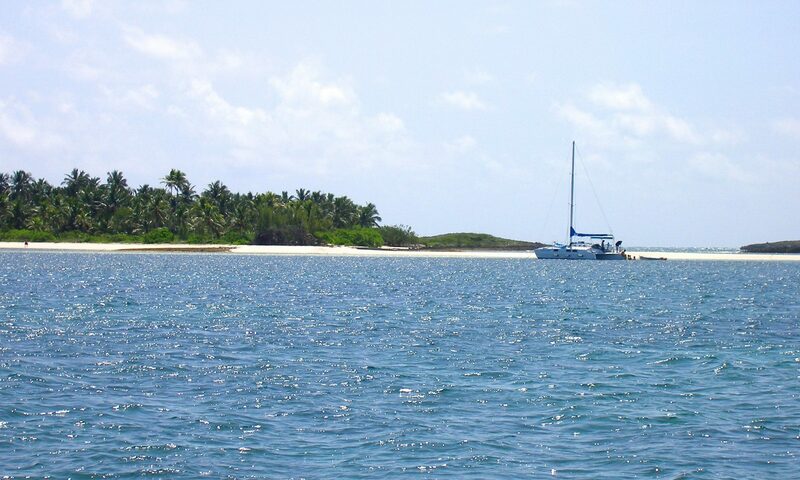 Enjoy sunset cocktail cruises on 58ft catamarans or tour the Rum Distillery. You could take a helicopter tour, explore the mysterious, underground Harrison’s Cave or shop till you drop at the duty-free shops. You can rent a car and head out to explore Barbados on your own as well. 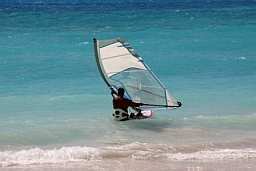 By day, the Barbados outdoors is a fun and dynamic place to explore. Exotic marine life can be seen on snorkeling trips, submersible expeditions or while diving. There are also outback and safari tours that can be taken on horseback, hiking or in unique 4×4’s. By night, the various clubs and nightspots spring to life. Colourful dinner entertainment shows, sunset cruises with fresh seafood cuisine, lively local music and lively atmosphere make the evenings in Barbados unforgettable. Bars, pubs and sports clubs, with jazz lounges, floorshows and the local theatre can all be enjoyed. The Caribbean Island of Barbados also offers a variety of festivals through the year celebrating its music, culture and sports. Some are more community oriented while others, like sports festivals attract international teams and combine music and culture at various historic venues. Music festivals are popular, like the Jazz Festival in January; they showcase internationally acclaimed artists, as well as local talent. Barbados is home to some of the finest restaurants in the Caribbean and serves gourmet and Caribbean Island cuisine. Local restaurants, rum shops and roadside vendors all offer mouth-watering bajan food. If you prefer international cuisine, you can try one of the many fine-dining restaurants. Barbados hosts a warm and sunny climate with nearly 3,000 hours of sunshine all year round. Recognized as an ideal island getaway, Barbados is also a hot Caribbean real estate market. Average temperatures vary between 65° to about 90°F, with a daytime peak of about 84° to 88°F. The nights are generally cool, with temperatures at about 65° to 70°F. The cool northeast trade winds blow steadily and maintain the pleasant temperature. The rainy season begins in June and lasts till November. The greatest concentration of rain occurs between August and October. The rain usually comes in quick showers and move out quickly. The dry season lasts from December to June. In the winter months, it is advisable to carry a light jacket or a wrap because the night air can become quite cool. Barbados is a Caribbean Island nation and is a part of the Lesser Antilles. It is located in the western Atlantic Ocean. It is to the immediate east of the Caribbean Sea and is located at roughly 13° N and 59° W. It is located quite close to South America and is only about 270 miles northeast of Venezuela. Its closest neighbors are the Caribbean islands of Saint Lucia, Saint Vincent and the Grenadines in the west, with Trinidad and Tobago in the south and Grenada in the southwest. Primarily low-lying, with higher regions in the island’s interior, the organic composition of Barbados is non-volcanic in origin and composed predominantly of limestone-coral. The U.S. Dollar is accepted in most places across the island. Most Barbados stores, restaurants, hotels and lodges accept major credit cards and traveler’s checks. The climate demands light cotton clothing and light jackets for evenings and even as formal wear. Casual slacks and lightweight sports jackets are also acceptable. Swimwear is restricted to the beach, beach bars or poolside. Although the Caribbean Island of Barbados is a fun vacation destination, there are dress codes in force. Over 300 years of British conservative heritage demands formal dressing in certain places. A Barbados driver’s license can be obtained for $10.00 Bds, upon producing either a valid national or an international driver’s license. All authorized car rental companies are equipped to issue a driver’s license. The earliest inhabitants of Barbados were American nomads. It is, however, unknown whether the Spanish or the Portuguese were the first Europeans to discover this Caribbean island. British sailors landed on Barbados in 1620 and found it uninhabited. From the time of the arrival of the British settlers in 1627–1628, till the time of its independence in 1966, Barbados was under uninterrupted British control. 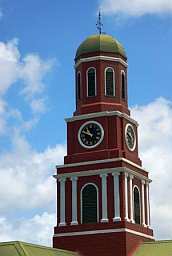 However, the Caribbean island of Barbados has always had a large measure of local autonomy. The continuation of slavery in Barbados after the slave trade ceased, caused the largest slave rebellion in the isle’s history in 1816. Slavery was subsequently abolished eighteen years later. By the 1930s, the descendants of emancipated slaves began to demand their political rights. Progress towards a democratic government was made in 1942, when the previous exclusive income qualification was lowered and the right to vote was granted to women. From 1958 to 1962, Barbados remained a member of the West Indies Federation. The island then negotiated its own independence in June 1966 and became an independent state within the Commonwealth of Nations. The Caribbean Island of Barbados has a rich culture and heritage, which can be experienced in the local cuisine, architecture, indigenous musical forms and festivals. The island has a wide variety of cultural and historic attractions. It possesses an impressive collection of old homes, dating back to the 17th century along with its historical churches, monuments and caves with Indian artifacts. Barbados is also home to many talented artists. Pottery, sculpture, painting, mahogany work, handmade dolls, batik, straw bags, shell jewelry and placemats dot the local market. The selection of fine quality art and craft is endless. 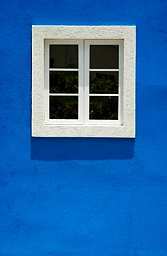 Art galleries can be visited all around the island and they sell the work of the local artists. Music is an important part of the culture. Spouge and Tuk are indigenous forms of music, although calypso is also dominant especially at the Crop-Over festival. The effect of Barbados’ unique blend of African and European Culture can be seen in all the festivals.